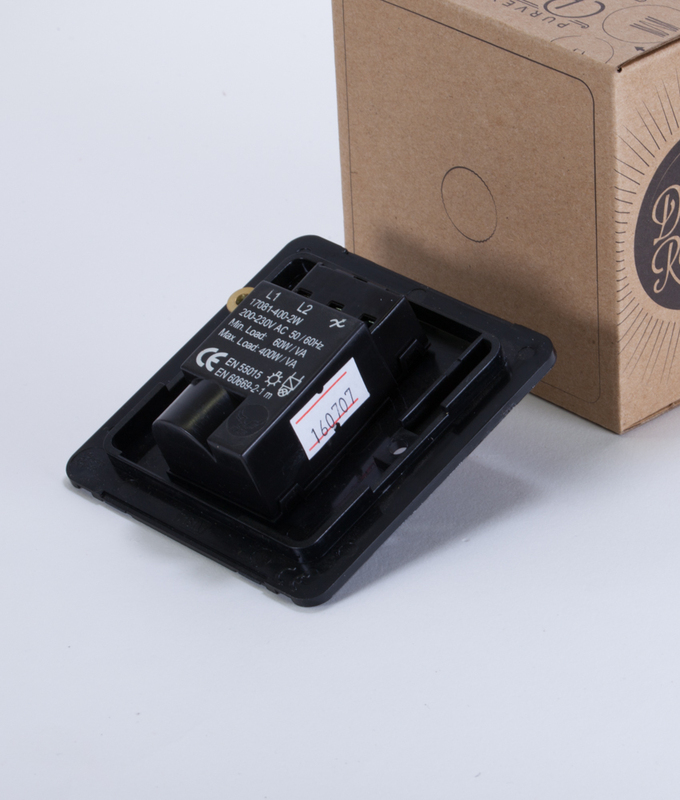 The fabulous design team here at D&R HQ have brought the classic gold dimmer switch right up to date, and what a fantastic job they’ve done too! If you shudder at the thought of the brassy switches your parents had, then have no fear, there’s not one bit of this stunning switch that’s reminiscent of those hideous things. This one is sheer class. There’s no denying that gold shouts opulence, but we like to think that our gold single dimmer switch does it with a little more subtlety. For starters, the gold finish on the brass plate has a low-sheen brushed effect which quietly oozes sophistication, and the smooth curved edges help to elevate it to another level – contemporary design at its very best. And then there’s the knob. A knurled knob no less. Knurling gives it the intricate detailing around the edges – go on, have a zoom in on the pictures and see the beauty for yourself. It’s not all about good looks though, knurling serves a purpose too! It gives the knob a really grippy feel, making it incredibly easy to control. We really do live by our ‘design details that matter’ motto. So where to put this gorgeous dimmer switch? Well, with four different coloured knobs to choose from it would quite happily do the job of dimming your lights to perfection in pretty much any type of interior, from light and airy Scandi-style right through to eclectic boho, vintage chic and everything in between. In a nutshell, it’s time to completely banish all boring white plastic switches as this is your new go-to light switch. If you love this dimmer switch, check out the matching double dimmer and our other coordinating gold light switches and plug sockets. And if you need a little help understanding the difference between 1, 2 & 3 gang and when to use 1 way, 2 way and intermediate switches, then have a read of our light switches explained guide and all will become clear.